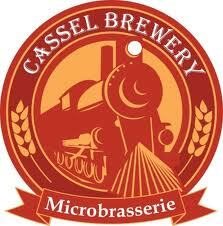 Two weeks ago Cassel Brewery opened its doors and sold half its stock on the first day. If they were wondering if the Ottawa area could support another brewery, they now had the answer. But the quick success and positive feedback for the microbrewery in Casselman, just 45 minutes east of the city, didn’t happen overnight — or even over the last year. Five years later Racine joined Bourgeois, and Benjamin Bercier took on the finances, rounding out the team. They began handing out samples to anyone they knew. Racine called it “free marketing.” He said anyone they gave the beer to ended up calling them to get more. They finally decided it was time to start a full production. But they’re almost ready to release their wheat beer, White Fog, in the next week or so; and Lil’ Red Steamer, a red ale, will be out sometime in September. Currently the only place to get their beer is straight from the brewery in 1.89L growlers, but Racine says they’re hoping to have 500mL single serve cans in the LCBO by the end of the year.